Spectacle lenses today differ in many more ways than just their strength. Thanks to modern technology, we are able to supply lenses with all sorts of different designs, materials, tints and coatings which can enhance your visual performance. 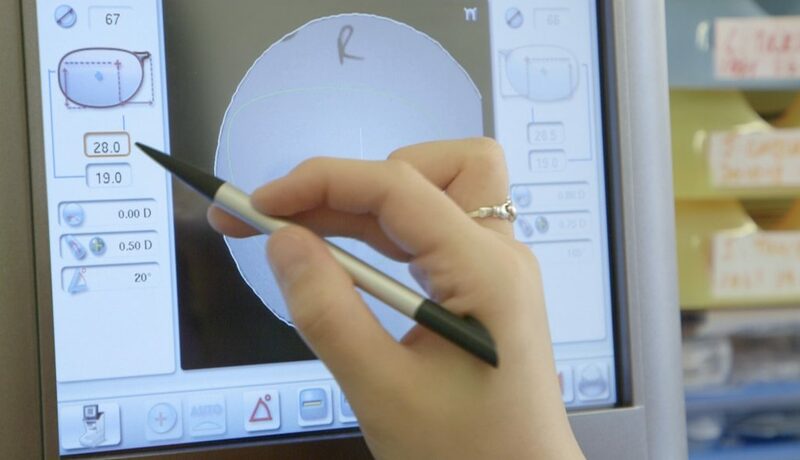 We can even optimise your lenses for specific tasks such as driving, computer work or sports. There’s no need to be overwhelmed though, we will look at your prescription and talk through your visual requirements with you, including you every step of the way. We are here to give you the best advice possible and explain exactly what you can expect with your new lenses, we will always inform you honestly and we’ll never be pushy. We are not on a time limit to select and fit your eyewear and this process will not be rushed. Your lenses affect how you see the world, most, if not every day for the lifespan of your glasses and we understand how important this is. To ensure you get the absolute best out of your lenses, they must be fitted with care and precision. Once you’re happy we’ve found the perfect lenses for your needs and lifestyle, one of our highly skilled team members will take a series of careful and accurate measurements. This is where the knowledge possessed by our team is absolutely crucial. Not only are they trained to recognise and avoid issues which might cause a problem, they also have advanced training on how best to order your lenses. This might not sound very involved but in fact (if it’s done well) this is a complex process! There are various methods of manufacturing a lens and these can vastly alter the cosmetic appearance of your lenses as well as your vision when wearing them. This is where the knowledge and level of training in our team is really vital. Without an excellent understanding of prescriptions and the manufacturing process, you can easily encounter problems or limitations with the lenses. We have an extensive quality control procedure to ensure that your lenses are perfect when they arrive. Experienced staff are key here, too. If we detect any imperfection with the lenses, or we believe that they are not living up to their optimum potential, we will address the issue straight away. We live in an increasingly computerised age and most of us are used to using a number of digital devices, whether it’s a smartphone, laptop or sat nav in the car, even our televisions are digital! As a result our visual requirements are more varied than ever before and our choice of corrective eyewear should reflect that. Unlike some opticians, we are not limited to one brand or manufacturer. 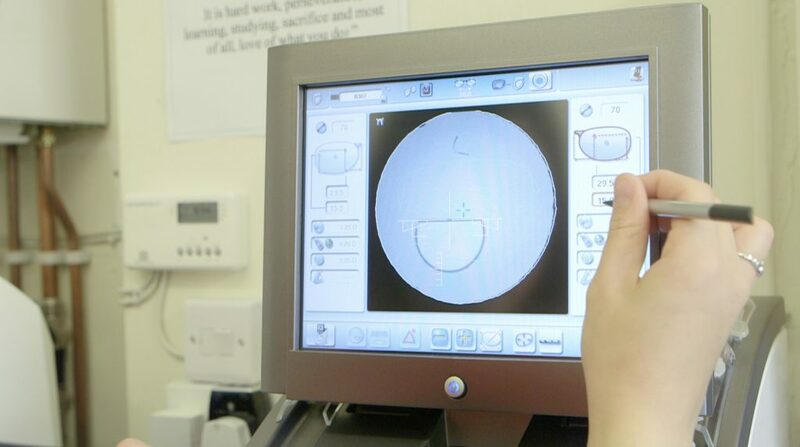 This means we have the flexibility to choose the most appropriate lens design from our choice of supplier and really tailor them to your prescription and requirements. For those who require additional magnification for reading and close work, varifocals can be a great option. They allow you to see all distances without changing your glasses and they look fantastic since they don’t have any visible lines or segments on them. At Bowen Opticians we have hand-picked a range of varifocal styles which we’ve found to be the most successful based on real feedback from our clients. We use good quality lenses from reputable manufacturers that utilize the latest research and technology. 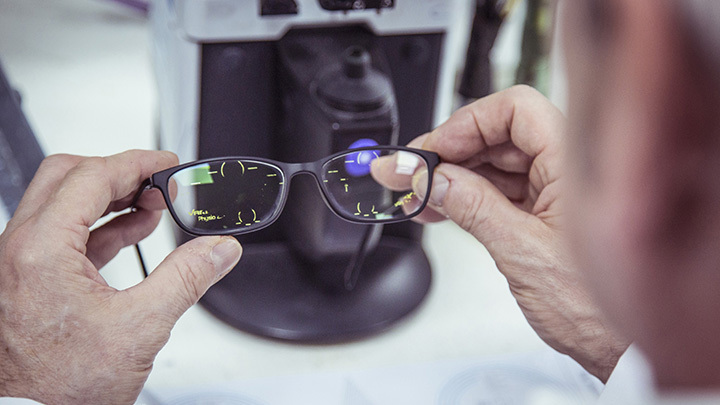 Nowadays, the vast majority of people adapt to varifocals with no trouble at all, as long as they are suitable for your prescription and are measured and fitted accurately. This high success rate is likely because they have improved dramatically in recent years. Modern styles now use digital technology to create vision that is as natural as possible with minimal distortions. All of our varifocal lenses are returnable or exchangeable, giving you the chance to try them and ensure you are happy.